I think a lot of other users is puzzled by the question above, too. This page is a tutorial of how to keep the iTunes M4V rentals forever on iPad and iPhone. 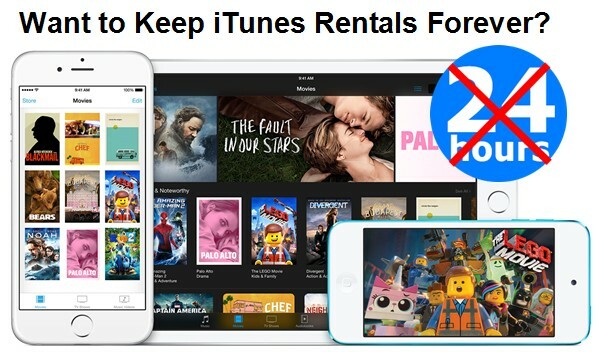 Besides the playing time limitation, the DRM protection of iTunes rental movies makes it necessary to remove DRM (read top 4 reasons to remove DRM) first in order to keep the iTunes rented movies forever. 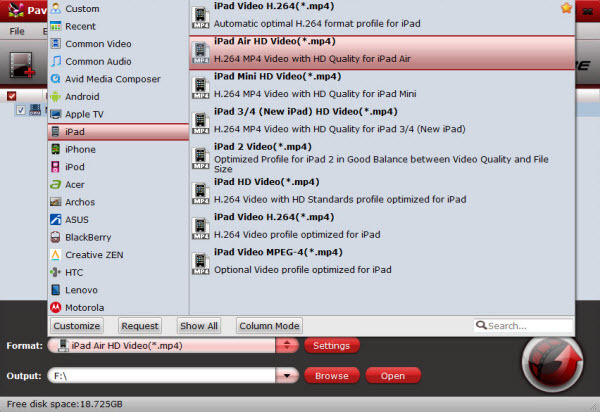 How to keep iTunes M4V rentals on iPad and iPhone? 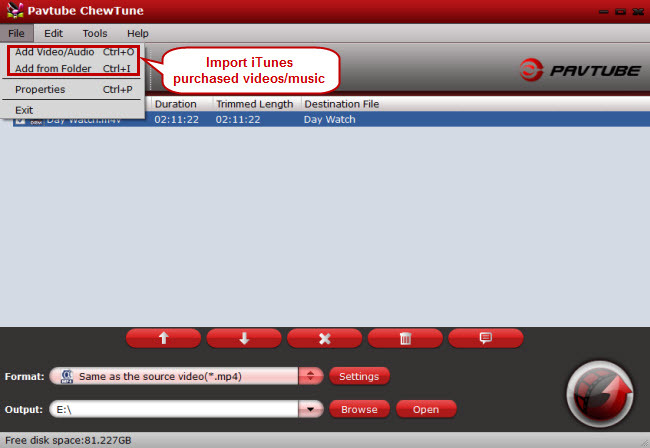 Pavtube ChewTune is such an easy-to-use yet professional DRM media converter to remove DRM from both purchased and rented iTunes videos and convert iTunes M4V rentals to playable video formats for iPad Air 2, iPad Mini 3 and iPhone. Once the DRM is removed from the rentals, you are able to keep the DRM-free iTunes movies on your iPad to enjoy at anytime you like. Download it right now and be ready to keep your loved iTunes rentals forever step by step. Add video to this iTunes DRM remover and converter. Drag and drop your iTunes rentals to it directly, or you can click “File” to load videos as showed blow. Click “Format” bar to choose, for example, MP4 as the output format because MP4 video format is one of the most compatible formats. You can also play iTunes converted MP4 movie in Android phones, Windows Media Player or VLC and Sony Bravia TV. Click the round icon “Convert” in the bottom right corner on the software’s interface to start the conversion. And you can find the converted DRM-free iTunes video immediately by clicking “Open”. Then you can sync the converted iTunes rentals to your iPad Air 2, iPad Mini 3, iPhone 6, iPhone 6 plus to keep them with you forever. Have a try right now, don’t wait until your iTunes M4V Rentals have expired to regret wasting the movie rent.